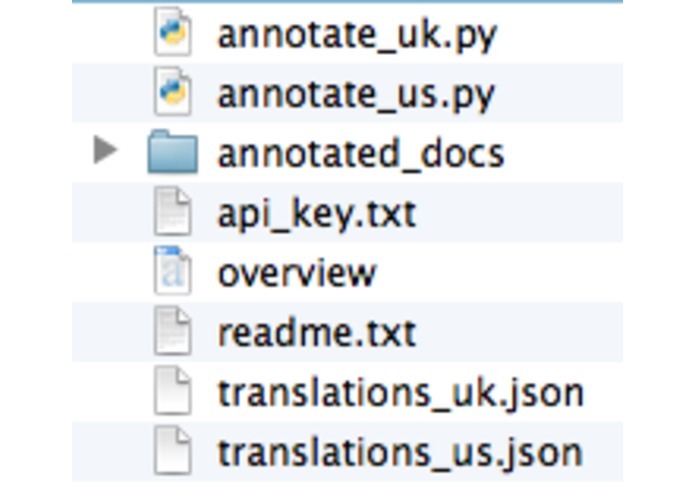 aknotate is a set of tools used to translate British and US bills and amendments from their published XML format to Akoma Ntoso standards. The parsers are written in python 2.7, and implement packages from the standard library as well as lxml, json, and requests. The dictionary to translate elements is written as JSON.